OCAJP 7 or OCAJP 8? Which Java Certification should I take? Java certification is a great way to learn and master The Java programming language, do well on the interview and get recognition in the job, but the most common reason for doing Java certification is to find a job. After Oracle's acquisition and dividing old SCJP exam into two exams OCAJP and OCPJP, it has become really confusing for many developers to decide which Java certification exam they should take. Since technologies change fast and Java is no exception, it's just a year when Java 8 was released and now people are talking about Java 9. 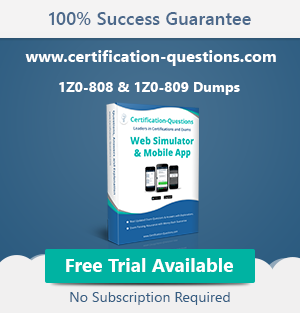 In general, it is better to go with the latest version of a certification, which is currently available i.e. the Java 8 version. But in the case of Java certifications, it's not that simple. Many of my readers email me about my advice to decide between Java SE 6, 7 and 8 exams before zeroing one. After answering their emails, I realize it's better to jot down important points for everyone's benefit. Here are things you should consider before buying Java certification voucher and starting your preparation. The most important thing to know is that from Java 7 onward, Oracle has split the Java Professional certification into two exams - Java Associate level and Professional level. To be a Java 7 or Java 8 certified professional, you need to first pass OCAJP before taking OCPJP, but if you hold any Java certification, you can also take an upgrade exam for Java SE 7 or 8. If you want to become Java certified developer by giving just one exam, then your only option is to take 1Z0-851 or OCPJP6. It is actually similar to older one SCJP6 and does not require any prior certification. To acquire the latest Java 8 Professional Certification (OCPJP8), you need to first pass the Java 8 Associate Certification (OCAJP8). In other words, you have to take two exams - 1Z0-808 and 1Z0-809. OCAJP 8 is now out of beta and available as a normal exam, but OCJPJP 8 (1Z0-809) is not yet released. So even if you pass associate level Java 8 exam now, you need to wait until 1Z0-809 is released. I highly recommend this exam to new developers who are trying to get Java certification, because Java 8 has introduced several new features in language and will provide a competitive advantage to you on Interviews. It's also better to learn the future way of using Java sooner than later. Things are little better for already certified Java developers. Oracle provides upgrade exams for them so that you can update your knowledge and certification to a newer version of Java. Since Java 8 is a major release and in coming days will be sought after skill, it's better for Java guys to take an appropriate upgrade exam such as 1Z0-810 for Java 8 Professional. For those, who wants to upgrade to Java 7 certification, they can take 1Z0-805 exam. If you are giving Java certification to get a Job or improve your chances over other candidates then it's important to have a certification under your belt, even if it's not the latest one. Many developers make the mistake of going after OCPJP6 in order to get certify in one attempt but it's a difficult exam to crack, especially compared to OCAJP7. It's one of the toughest Java certification out there and many experienced developers were not able to clear it one shot. I don't recommend this to freshers and junior Java developers who are looking for a job. Beginners and freshers are better off with preparing OCAJP7 because then the will at least have one Java certification, which might help them to land a job. Never underestimate the power of Java certification, there are many Java job position where consultants are only looking for Oracle certified Java developer. That's all about which Java certification exam should you take. In short, if you are beginner looking for a job then take OCAJP7, if you are a working Java developer then take OCAJP8 and if you are already certified Java developer looking to upgrade to Java 8 then take 1Z0-810. This is also a good time to get Java certified because Oracle is offering 20% discount on all Java exams. All the best for your certification, whether you chose for Java 7 Certification or Java 8 certification, you need to prepare hard to get the top scores, which you can put on your resume. 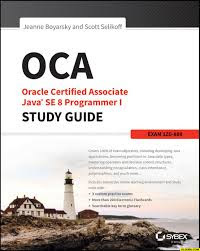 There is no point just passing the OCAJP 8 or OCAJP7 because anybody can do that, scoring at least 80% on exam will really set you apart from average Java developers of the same level of experience.